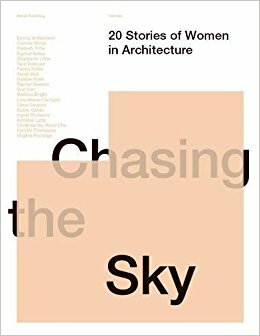 Chasing the Sky: 20 Stories in of Women in Architecture was a surprise read for me. Let's face it, the cover is not that enticing, but in my role as Non-Fiction editor at the Australian Women Writer's Blog, I'm very aware of the dearth of AWW non-fiction titles being read and reviewed at the moment. So I decided to lead by example! Inside this plain cover was a treasure trove of magnificent full page glossy photos of the twenty women's work, complete with their bio's and thoughts about architecture in general. Their passion was obvious, as too their dedication, creativity and hard work. They were concerned with environmental factors, social justice issues and the role of aesthetics and functionality. The book is truly beautiful, full of fascinating and inspiring women. But is it wrong of me to still wish that it had a nicer cover to entice more people to open it up? My only other beef with the design were the photo blurbs that were turned sideways on the page. It was annoying and awkward turning the soft cover book around every page to read them. 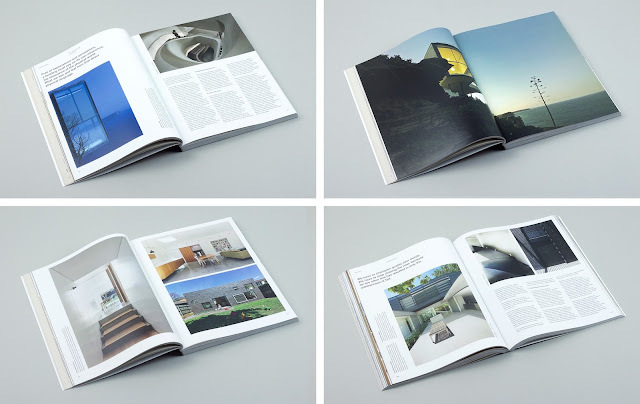 Maven Publishing is a new Sydney-based publishing house who focus on storytelling and documenting about the built environment - financial, design and construction. The book is edited and introduced by Dean Dewhirst with a foreward by Maryam Gusheh. 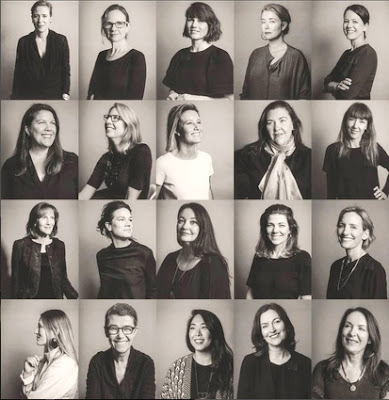 All twenty women then tell their own stories within a generous 10-12 pages spread. A small 'Life Lessons' tab in the middle section highlights a number of their key points for quick reference. Each woman was obviously given a brief about the kind of content required for the book with a few key areas to cover. We learnt about their background and introduction to architecture (I was interested to note that the majority had a parent or family member already involved in architecture, design or creative pursuits somehow). They talked about their education and any challenges they had getting started. Passion, reward and ambition were three words referenced by nearly all twenty women. The twenty architects were: Emma Williamson, Camilla Block, Hannah Tribe, Rachel Nolan, Stephanie Little, Tara Veldman, Penny Fuller, Sarah Ball, Debbie Ryan, Rachel Neeson, Sue Carr, Melissa Bright, Lisa-Maree Carrigan, Clare Cousins, Abbie Galvin, Ingrid Richards, Annabel Lahz, Christina Na-Heon Cho, Kerstin Thompson & Virginia Kerridge. I think I must have a frustrated architect lurking inside of me as my obsession with this book became a little OTT. I found myself jotting down quotes from nearly every architect on Goodreads - a few of which I will share with you below. Penny Fuller - It wasn't important to know everything, that is impossible. However, you need to develop a process to find out what you don't know from day one. Tara Veldman - Throughout history, people have built environments that simply provide shelter. Function does not deny good design in fact they are symbiotic. Architecture is both the process and the product of planning, designing and constructing....The built-environment has a physical impact on everyone who experiences the space for generations to come. Emma Williamson - I am always very conscious of the fact that a building will last longer than I will. Once the project is over the buildings needs to have a full and happy life with its users. For that to happen the building needs to reflect the client's aspirations not just an idea imposed by an architect. Sarah Ball - The moments of visiting site and realising the drawing come to life is like an injection of pure wonderment. It goes beyond the physical realisation of if it looks exactly how you hoped it would. It is more a feeling of place - it gives me goose bumps. Melissa Bright - current standards of building...are not good enough. Apartments are built for selling, not for making the homes for residents of our cities in the future....If we are to live more closely to one another, good innovative design is essential to ensure the living quality is not reduced. Kerstin Thompson - This involves encouraging even the most private projects to provide a public benefit and support community life. Broader questions need to be asked about the way buildings are designed. How does this building contribute to its neighbourhood?Is it kind to its neighbours? Does it increase the quality of the street it's in? Is what's being proposed better than what's already there? I so wish a few more architects, developers and home owners asked themselves these questions before embarking on a project or home renovation! Chasing the Sky is a coffee table book, despite it's soft, nondescript cover. 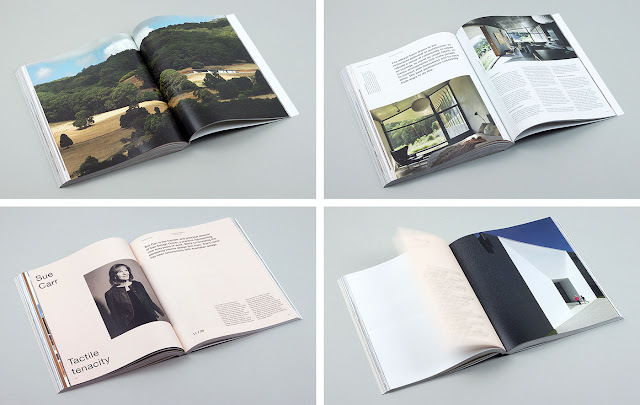 Inside it is elegant and informative and feels quite luxurious as you're reading it. Highly recommended to anyone interested in creativity, design and building. Oh this looks absolutely fascinating!